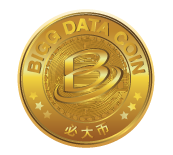 Bigg Data Consultancy Limited (BDCL) unites professionals from all over the world, developers from Portugal, China, Indonesia and Singapore together with successful financial advisors from HK, USA, Estonia and Malaysia are working on the best Fintech Platform. With Big Data input, BDCC is focus on creating a green Fintech ecosystem, known to simplify transactions and contributing to the global Blockchain growth. How do you invest in Bigg Data Crypto-Currency? Lots of great information regarding their company and investing can be found in the FAQ section of their website – https://www.bdcc.tech/en/faq/. Current price and trading can be found here – https://www.bdcc.tech/.